Sexual violence in the US military is all too frequent, under-reported, and rarely prosecuted. 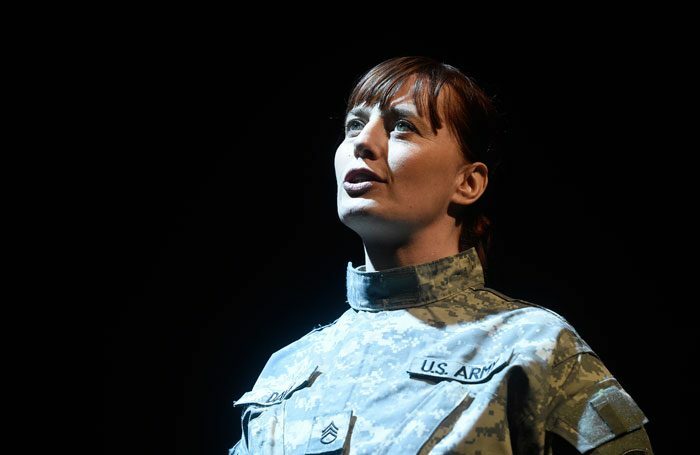 Writer-performer Mary Jane Wells’ one-woman show Heroine recounts some of the real-life experiences of an American sergeant who was gang raped by men in her unit and then sent into combat alongside her attackers. While the slick production creates a bombastic soundscape and distinct sense of place through sound design, the purple prose interferes at times with an emotional connection. This raw personal narrative does not need embellishment. When Danna Davis’ family finds out she is a lesbian, they kick her out of the house. She joins the army, where she thrives and gets promoted. But she also has to hide who she is because of the ‘don’t ask, don’t tell’ policy. Her fellow soldiers use this as a threat to her career to keep her quiet after they attack her. 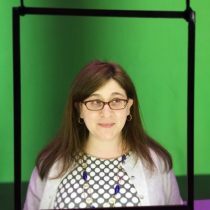 After the violence she experienced, she struggles in recovery with the voices in her head and the scars she bears. Wells injured her ankle during the fringe run. Using a wheelchair while performing, she seamlessly moves across the stage with each scene shift. She captures a plethora of distinct voices in her commanding performance.